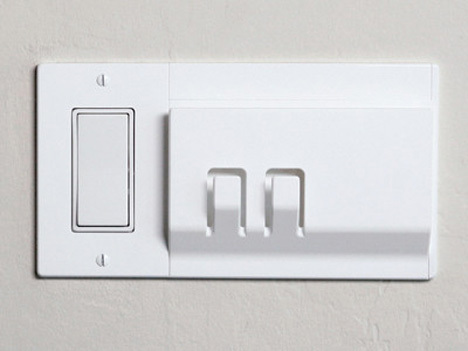 The switch plate is an overlooked, underused and often abused home accessory. For as small a space it fills, designer Justin Porcano very cleverly turned the small uni-tasking panel into a full-on utility area. Porcano created the Walhub, a dedicated location to hang, store, place and stick those items you use every day – keys, sunglasses, light sweaters and even the mail. 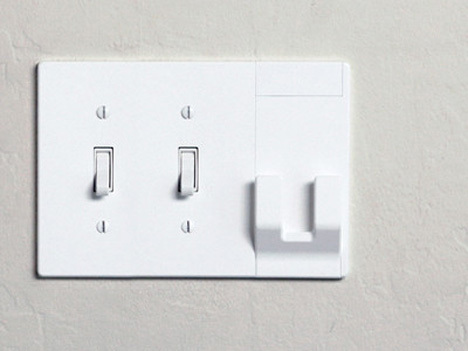 Just to the right or left of the switch (the Walhub offers plates for rocker and toggle switches) is an added area that can feature up to two hooks and a slot wide enough to fit several envelopes. It can purportedly hold up to fifteen pounds. 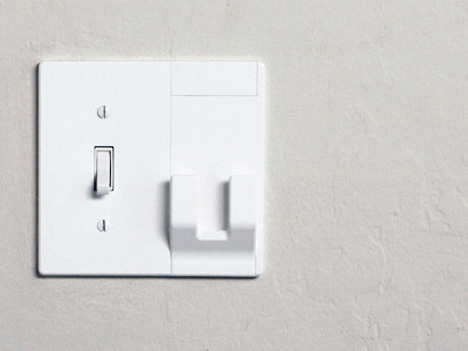 Walhub adds practical function to a logical location. In one swoop, the lights are turned off and your keys are in your hands. Now, the question is: do you know where your keys are?